It wasn’t the panoramic views of the Jordan River Valley that knocked logger Stanley Graczyk dead in 1911 (runaway logs did that), but Deadman’s Hill still takes your breath away. Drive right up to take some stunning photos or cruise on to the 18-mile backpacking trail that starts here and descends deep into this fall-fabulous valley. M-32 west through Elmira, south on US-131, then west on Deadman’s Hill Road, 989-732-3541. Picturesque barns, big forest and tiny lakeside hamlets—what more could a fall road tripper want? This loop has it all: Follow M-32 west to East Jordan, head north on M-66 and wind along the south arm of Lake Charlevoix to its namesake town. From there, U.S. 31 North to Boyne City Road—here, the lovely north side of Lake Charlevoix. 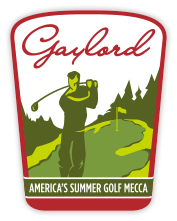 Ready to head home-sweet-home to Gaylord? A quick cruise down I-75, east on Thumb Lake Road/ C-48, then south on Old U.S. 27—you’re there. A recipe for a perfect fall picnic? Pop into Jan’s Northside Deli for a packed lunch of super subs and sandwiches. Tote those treats and your camera to Irontone Springs (aka Frank Wilkinson Park), where you’ll find picnic tables, a covered pavilion and grills, plus a picture-perfect bridge and stream that winds through the park. Pose, smile, push the camera button, repeat. Find the park three miles north of Gaylord on old U.S. 27. 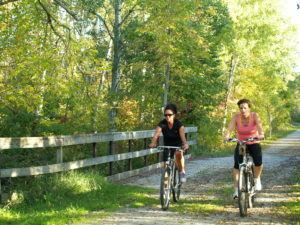 989-732-6521, otsegocountyparksrec.com. Experience all that is Northern Michigan along one of the many trails in Otsego County used for hiking, biking, x-country skiing and snowshoeing. 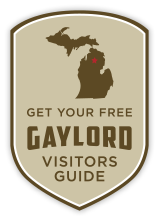 The area abounds with pathways for outdoor enthusiasts of every skill and age level, and all are free to use with no trail passes required. Click here to view an interactive map of forest pathways and recreation areas. Yzerman wannabes, you can live large as your Red Wing hero on the Otsego County Sportsplex’s NHL-sized indoor arena. Prefer to twirl to your Dorothy Hamill-hearts content? Yank on the sparkly skirt and slide on over, the arena also offers open skate and figure skating sessions. Call 989-731-3546 or check out ocsportsplex.com for ice schedule. Hint: Don’t forget to pack a swimsuit in your skate bag. The Sportsplex also has a six-lane lap pool, a wading pool with Jacuzzi jets at one end and a 25-foot water slide. 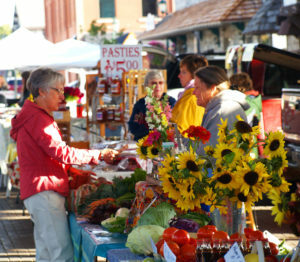 hawking their fruit and veggie harvest—as well as plants, flowers, baked goods, maple syrup and more—every Wednesday and Saturday (8:00 a.m. to 1:00 p.m.) under the Pavilion on Court Street, downtown. On Fontinalis Road, about three miles north of Sturgeon Valley Road near the Cheboygan County line, a small cleared parking area and field. 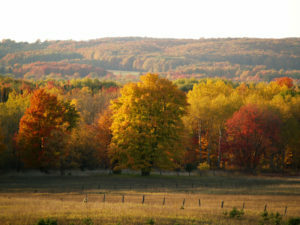 Less than ½ mile north of the Osmun Road and Clark Bridge Road intersection in the Pigeon River Country State Forest. 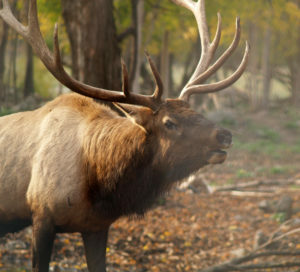 Find detailed maps of various other elk-viewing. 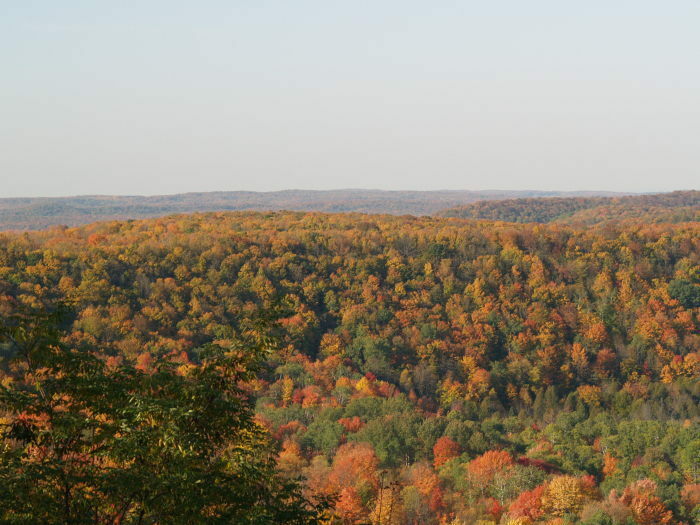 This famed fall road-trip is a Michigan must-see. Beginning just north of Harbor Springs, the twists and turns of M-119 provide an unparalleled view of Lake Michigan through a red-hot blaze of hardwoods. To stretch this 20-mile trek into a day’s worth of wandering, visit an antique shop along the way and pick up a pot pie at the Good Hart General Store for a picnic at the local beach. To wrap up the journey, enjoy hearty Polish provisions at the tour’s end—the quirky Legs Inn of Cross Village. Have time to idle? Pedal the paved path along M-119 known as the Little Traverse Wheelway for a more personal perspective of the fall foliage.